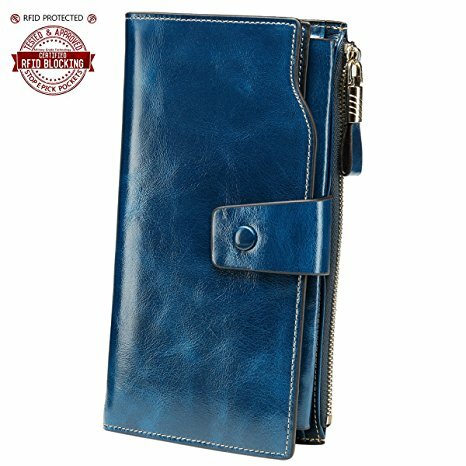 RFID Blocking Wallet - Organize and Protect Your Purse! Unfortunately in these times of constantly improving electronics, there are thieves that use this technology for no good. They can use pocket sized scanners (RFID - radio frequency identification) to get close to you and literally scan right through your purse and into your wallet to collect valuable personal information off of credit cards, wallets, passports and more. It is sad when this happens but you have to protect yourself. If you have just updated and organized your purse or handbag and maybe noticed your wallet is overstuffed or in a sorry state, maybe it is time to invest in a new one. This new one should be RFID blocking. If you start thinking you have to carry yourself around in an armored car, don't worry, there are some really cool and fashionable wallets that have the blocking technology built right in. If you need lots of room for credit cards, loyalty cards etc, this wall should hold all your personal cards without worry of the information being hijacked. If you don't carry around a lot of cards, and tend to be more of a minimalist , this money style clip designed to carry your cards will still offer you the protection you need. 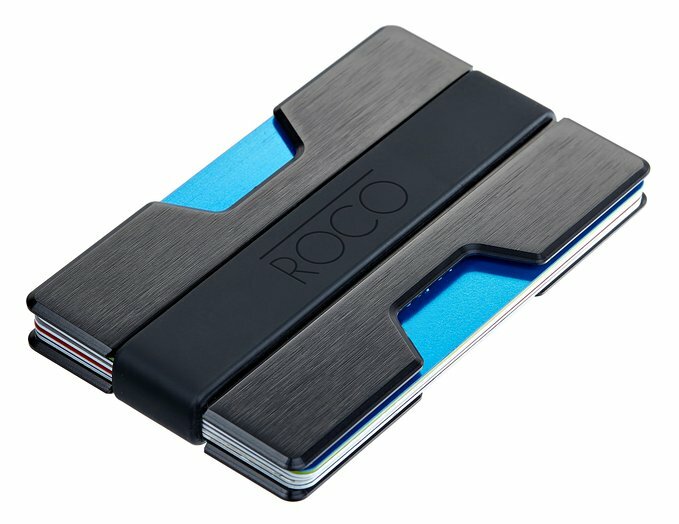 If you like to carry everything in one wallet (like me) and don't want a separate wallet for credit cards, this gorgeous blue one pictured has the protection as well as good looking. Go through your wallet and get rid of old outdated gift cards, bits of papers, old receipts and then see just what you have left. If you still like the larger style, just make sure it has the radio frequency protection. 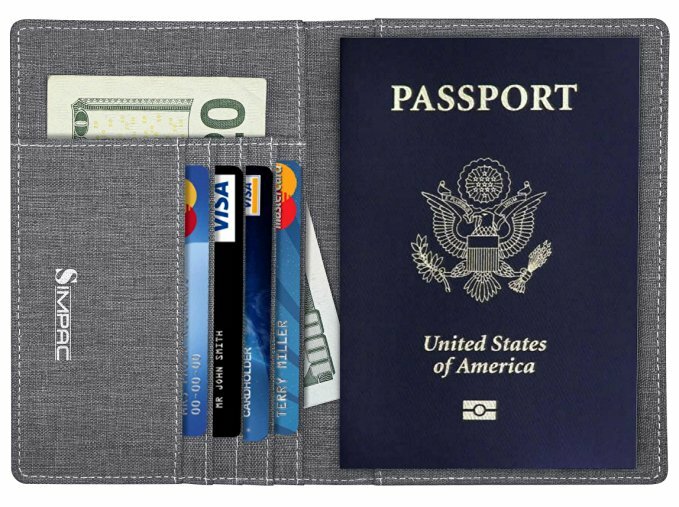 This is a gorgeous little wallet case designed to store up to 9 credit cards. If you want to keep your cards separate from the rest of your items but away from thieves, this will work. I love the colors. Blocking technology doesn't have to be ugly! Another piece of Identification you need to block is your passport. 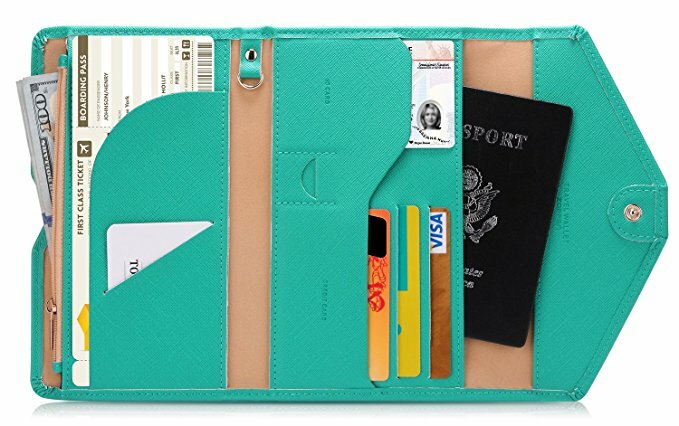 YES your passport is vunerable too, so if you love to travel consider getting a RFID blocking wallet such as below to keep your travel documents safe from thieves. IF you are travelling, your purse wallet is not the only danger of being hacked, so is your passport. Yes you have to protect your passport when travelling. The same technology they use to scan it at the airport, thieves try to hack with their radio frequency equipment. You should keep it in a passport wallet along with other travel documents so you always have them on hand. Protect yourself. If you travel it is also nice to keep all your important things together. As you can see above they have their credit cards, some cash and their passport which fits nicely in this product and is protected from unwanted scanning! If you are in the mood for organizing but don't have much time, start with a drawer, or something quick like your purse or wallet. If you wallet can barely fit in your purse or pocket for all the bits of paper, dump it out and have a clean, and if you simply can't get to it right away, find a box or envelope and throw all the bits of paper in the box to look at later. No sense carrying it all around. If you like to carry a wallet in your back pocket, it can actually put your back out if it is full of old receipts etc. So have a good cleaning out, as I am sure every time you grab your purse to pay for something you must think "one day I must clean this out" then it is forgotten, but it can be a super quick clean and you will feel tons better! 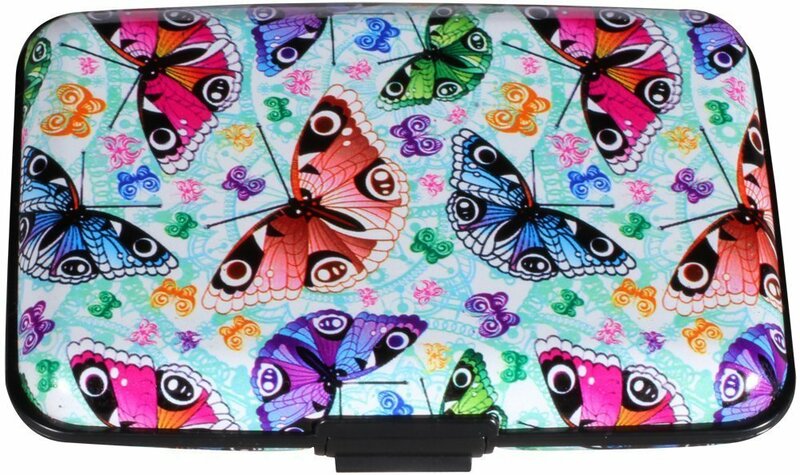 But if you think it is time for a new wallet, then at least get one that can keep all your personal information safe from scanners such as the products above. Click on any picture to see more information or go searching for one you would prefer. They can still look awesome even with the blocking technology.